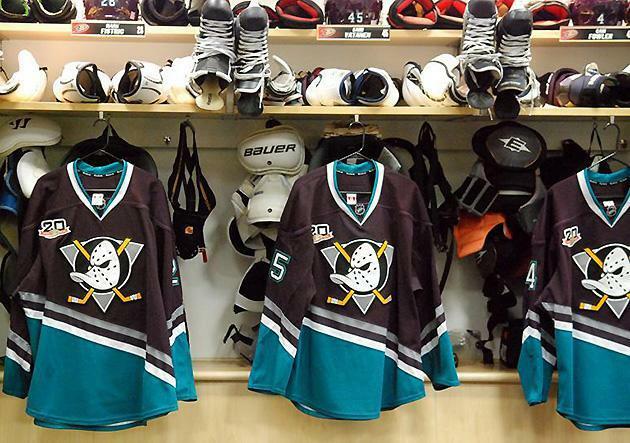 It’s the 20th anniversary season for the Anaheim Ducks, and many of those years were spent as the Mighty Ducks of Anaheim. There was a time when that team name and that jersey were laughingstocks for the NHL. Please recall Disney head Michael Eisner giving Commissioner Gary Bettman and Los Angeles Kings owner Bruce McNall duck calls to sound in unison at the team’s introductory press conference. Please also recall two-thirds of Anaheim fans polled by the team wanted “Mighty” dropped in 2006, when new ownership changed it. Time and kitschy nostalgia heal all, of course. 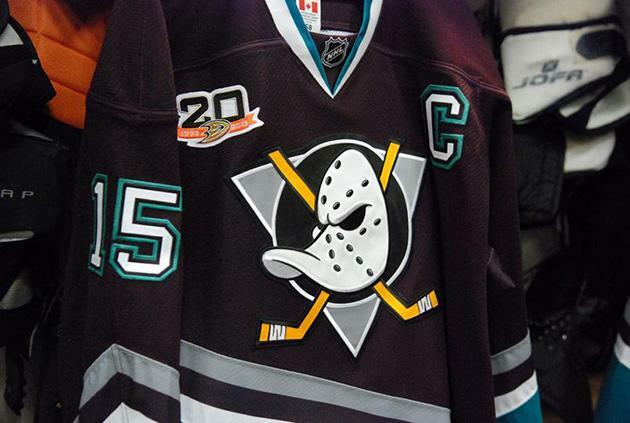 What was once a cartoony logo on an oddly colored jersey – eggplant and teal, anyone? – is now something fans have clamored to have return as an alternate or third jersey for the current team. At the 1992 league meetings in Palm Beach, Fla., the NHL awarded Disney a conditional expansion franchise. Eisner celebrated the occasion by wearing a green-and-yellow jersey from “The Mighty Ducks” movie, a lightweight hockey-themed sports vehicle starring Emilio Estevez as the coach of young misfits. And Eisner already had the team’s nickname in mind. For one night, they will fly together again. Guy Hebert appearance, or we riot.